Best spas in Bali: Where to enjoy the bliss, massages, facials, treatments we write home about! Oh Bliss You! 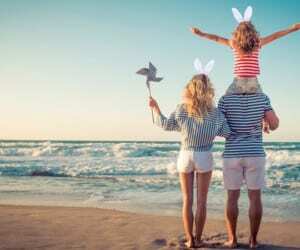 Every woman, man and child deserves a lot of pampering in their life, so it's only right that we deliver our hot list of the best of Bali's spa treatments across massage, facials, body scrubs, hair baths & more.... you name it, you will love it! Don’t hate us just because we live in Bali. Hate us because we know the best treatments from the best spas in Bali – from first-hand experience. 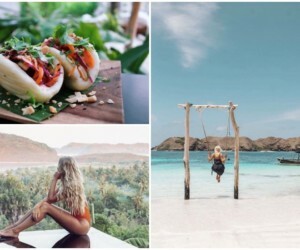 Or don’t – appreciate this short list instead to the island’s best spa treatments across facials, massages, mani/pedi’s, and a few other forms of the blissful experiences Bali is known worldwide for. 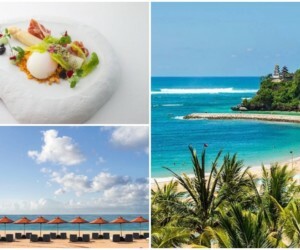 Blissing in Bali is serious business, someone [really] has to do it… Enjoy! 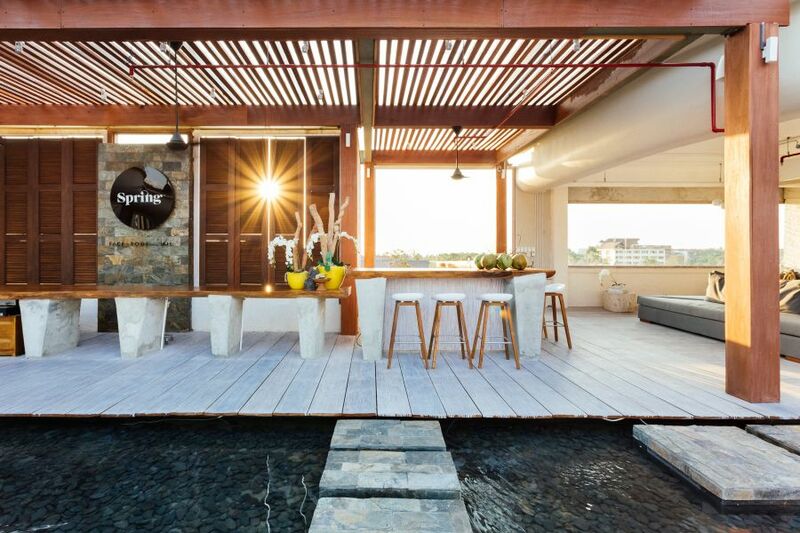 First love: the hotel opening of Alila Seminyak to stay, or have sunset drinks. 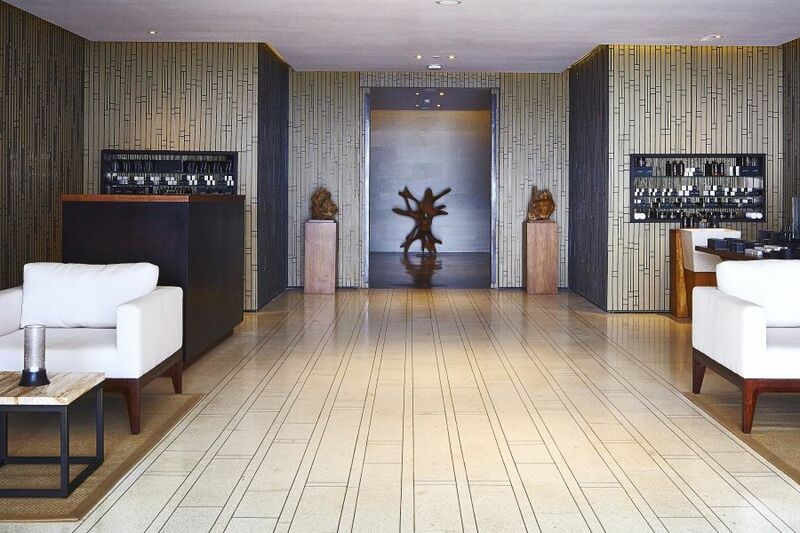 New love: the official opening of their much-anticipated Spa Alila. It’s good. Offering you exclusive bespoke treatments from the heart and using only fresh local ingredients, it delivers a sublime spa experience that leaves you feeling rejuvenated and relaxed with a renewed sense of well-being. AKA: Blissed. Out. 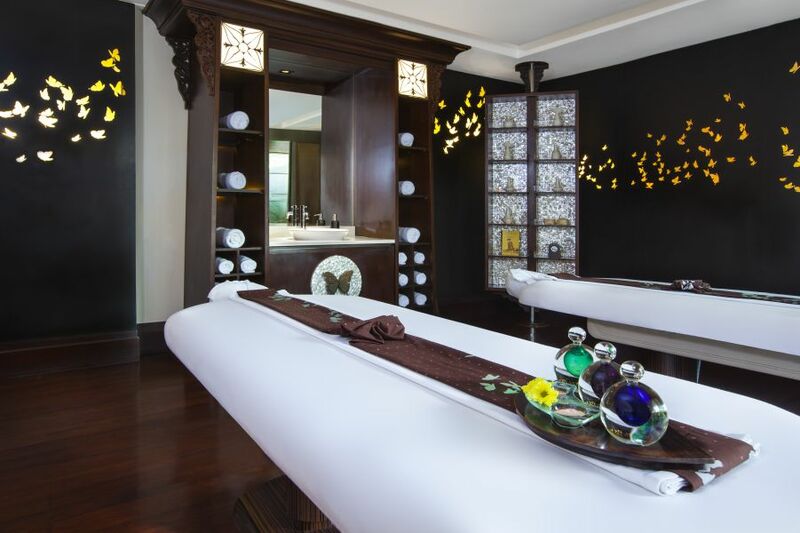 They offer ten stylish private treatment rooms including a 93sqm Signature Suite and boast the only Vichy shower and Vitality Silk bath hydrotherapy room in the Seminyak beach resort area. Exactly, what is a Vichy Shower you may ask? A Vichy Shower & Silk Bath is performed on terrazzo beds with a rain-like flow of pressured warm water, to invigorate the senses and increase blood flow within the body. How? By stimulating the skin to bring blood to the skin’s surface – soothing the nervous system and helping to reduce toxins. This renews the appearance of the skin, giving you a healthy glow. 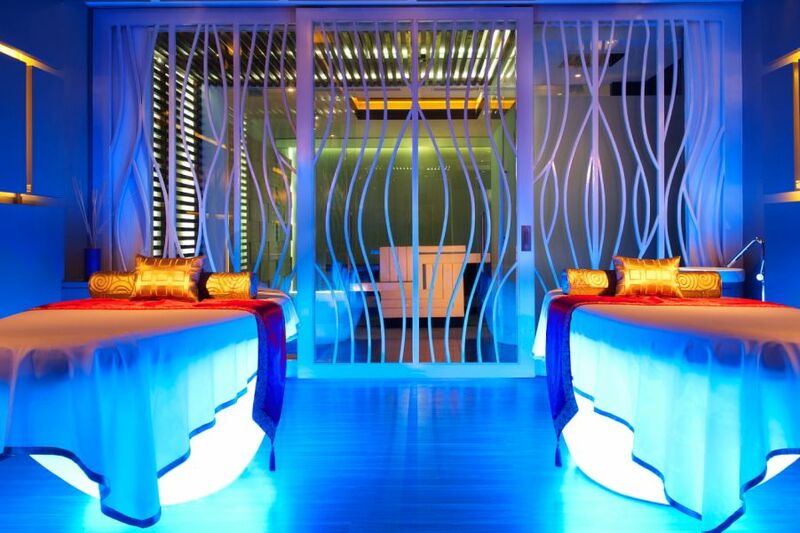 The 45-minute treatment includes a geranium and mandarin soapy body exfoliation and herbal steam session. More. Bliss. Spa Alila at Alila Seminyak, Jalan Taman Ganesha No. 9, Petitenget, Seminyak, p. +62 (0)361 3021 888. As someone who is no stranger to the best of the best, and regular massages weekly, you can be rest assured that this accolade is more than well deserved. The best massage I’ve had in Bali? Yes. It takes you to a heavenly place up there with the fairies [or butterflies perhaps, as you notice when you dreamily wake up]? The combination of parrafin and more to take you to bliss? Yes. And one I’d book into again in a heartbeat? Oh yes. It uses specialty products and techniques especially ultimate relaxation and rejuvenation. Based on particular areas of focus, your massage therapist borrows from a variety of methods including Shiatsu, Swedish and Deep Tissue, enhanced with warm paraffin to ensure the most complete massage. No words. Remede Spa, The St. Regis Bali Resort, Kawasan Pariwisata, Nusa Dua, Lot S6, Nusa Dua. IDR1,500,000 per person for 60 minutes. All chakras need a lot of love and TLC, but the heart chakra is very important to the Balinese, as opening the heart clears negativity – allowing only love and compassion to be given and received. The heart chakra is the centre of unconditional love and seat of compassion, forgiveness, generosity and wellbeing. This rose-based ritual begins with a blissfully nurturing scrub and rose and turberose flower bath. A rose oil body massage relaxes you before the focused heart work, which comprises a rose quartz crystal chest massage. Then it’s followed by heart-shaped basti filled with healing damascena rose otto placed over the heart. You’ll feel light, harmonious and generally pretty great about yourself after this one – it’s blissful. 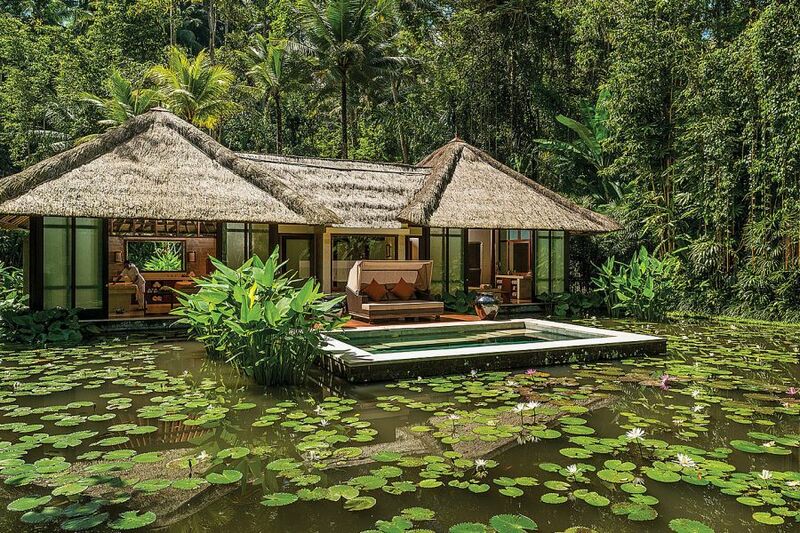 Four Seasons Resort Bali at Sayan, Raya Sayan, Ubud, Kec. Gianyar, t. :+62 361 977 577. Prana Spa was one of those unique, decadent spa experiences far before the rest of the island caught on. 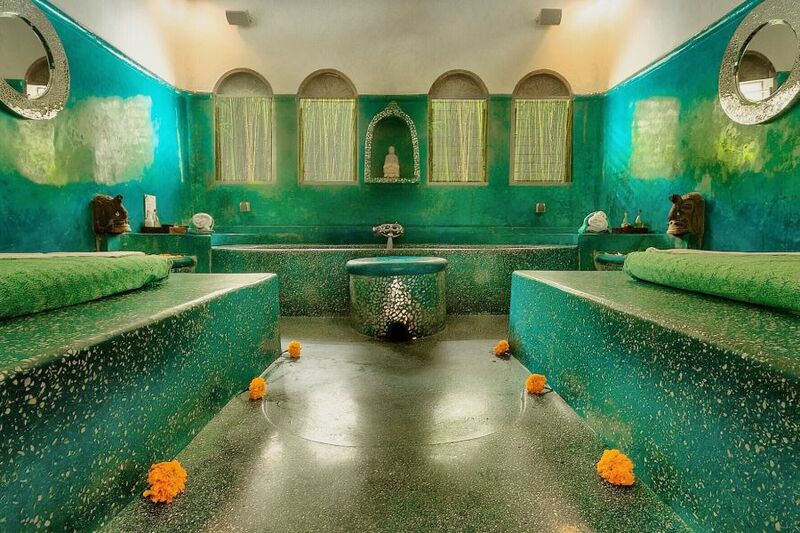 And today they still excel in gorgeous, decadent experiences but no moreso than with the Eastern and Indian philosophies – so we love Prana for its Shirodhara treatment. Literally meaning ‘head flow’, Shirodhara is one of the most desired Ayurvedic treatments. It begins with a head, scalp, neck and shoulder massage, to calm the wandering mind [or is that just mine]. Meditative bliss takes over as they begin a slow pouring of medicinal oils that cascade over your sixth chakra, stimulating your third eye and window to the soul. This one is recommended for headaches and insomnia, but we love it for its profound state of bliss and calm induced. Prana Spa, The Villas, Jalan Kunti, Seminyak. The Oldie but the Goodie. Bodyworks remains the most accessible – and likely biggest – spa institution in Seminyak as it still continues to deliver day in, day out… all that pampering of every variety until all hours of the night. Those mint green tiled walls and cool polished concrete floors are as synonomous with ‘beauty packages’ as anything you’ll find around. A few packages over three hours is likely to be under $100. Our favourite? The Creme Bath with mani/pedi – what’s not to love about feeling like you’re royalty for an hour? Bodyworks, Jalan Kayu Jati No. 2, Petitenget, p. +62 361 733317. COMO Shambhala was my happy place before I moved to Bali, and still is up there as a favourite place of health, healing and wellbeing across the island. Is it the energy, the delicious raw food or the non-raw [but still good for you] food? The beautiful grounds and yoga pavillions? The incredible villas? All of the above. But the Spa is world class, as is acclaimed by thousands of international guests and many of the worlds leading wellness bibles. Start with the COMO Shambhala Bath – a cleansing treatment to gently exfoliate and soften the skin. After dry brushing the body, specially prepared COMO Shambhala body scrub infused with Shea butter, essential oils, almond, coconut, macadamia nut oils is applied to the body. 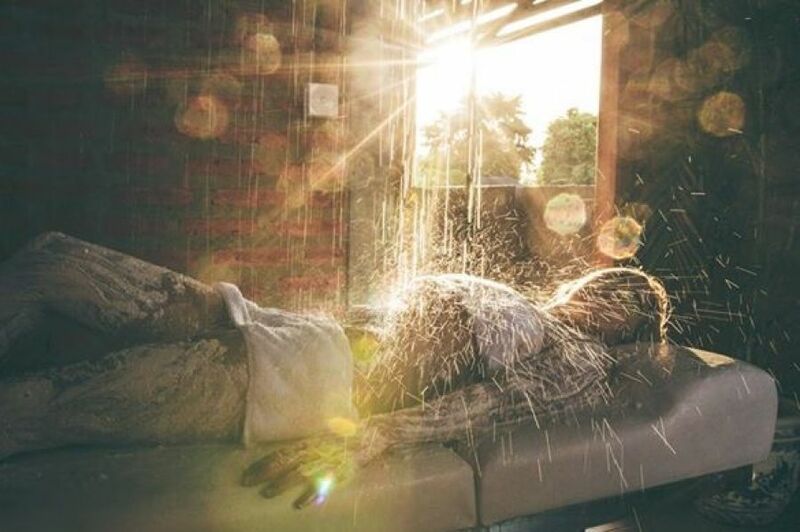 After a rinse in an invigorating bath, enjoy the relaxing and nurturing COMO Shambhala Massage using their signature blended massage oil to calm the mind and rejuvenate the body. Hot Tip: Take the massage oil – and that treatment feeling – home with you. COMO Shambhala, Banjar Begawan, Desa Melinggih Kelod, Payangan, Kec. Gianyar, Ubud, Massage is 75 minutes, IDR 1,687,500, Bath is 120 minutes IDR 2,632,500. Ubud is all about the tranquility, so it makes sense they know their Spa business. This package begins with a refreshing walk along the banks of Ayung River to blend you with nature and clear your mind, followed by a spiritual guided Yoga to relax, de-stress, and transfer energy. The Yoga session ends with a soul blessing ritual to balance the spirit, body and mind followed by luxurious soak in warm bath infused tea tree essential oil. Then, you have a gentle body scrub made from a blend of honey, sea salt and tea tree oils to stimulate circulation and soften the skin before being wrapped in fresh avocado for a nourishing and radiant effect. Of course, you’ll need a hot stone massage so those healing properties of heated volcanic stones can relax your muscles and purge negative energy [if you have left by then]. Then a facial or foot massage transports you back to reality. The Sensory Surrender experience finishes with healthy snacks and a little pressie. What are you waiting for? The Spa at The Legian Bali has extended its facilities to include a Wellness Centre, an intimate area located at the lower level of The Health Club – which includes a warm plunge pool, refreshing cold plunge pool, spacious sauna and steam room. But let’s talk treatments: The ila Adreno Restore Ritual to be precise. Adrenal fatigue is a real thing, and few of us understand the impact that long-term stress will have on our health. Vetivert, pine, cedarwood, ashwagandha and pfaffia are blended with pink Himalayan salt crystals and applied with exfoliation techniques. A wrap with the same adaptogenic herbs is applied to the torso to target the adrenal glands. Naturopathic packs are warmed and applied over the adrenals to infuse healing herbs through the skin. 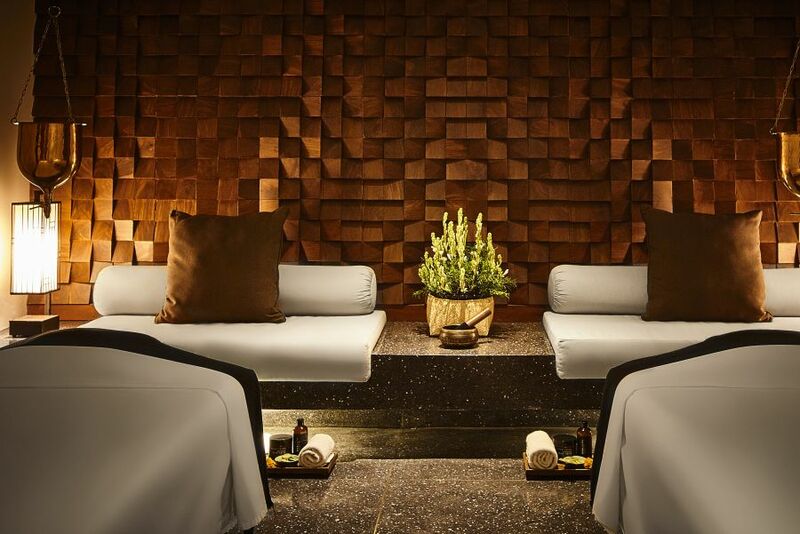 Float into deep relaxation during a Tibetan-style massage called Ku Nye for grounding and restoring balance. Yes, yes, yes. The Legian Bali, Jalan Kayu Aya, Seminyak,p. +62 (0)361 730 622, 120 minutes, IDR 2,175,000. Celeste Warm Stone Therapy – Who doesn’t love the sound of this! Very aptly named as the signature Celestine Spa treatment at the Stones Hotel. The therapists use both their hands and warm basalt rocks to deeply penetrate the skin, a balancing treatment relieving tired muscles, restoring balance and deeply relaxing your body, just what you body needs on your Bali holiday. Purifying body oil is lathered over your skin which the masseuse will then slowly massage into your muscles with flowing strokes using various sized stones, making sure that the massage pressure will be to your preference – It is hard to tell where the therapists hands and the stones part ways it is that good. This defines a five star treatment and will be ninety minutes you won’t want to end, believe us! The Celestine Spa at The Stones Hotel, Jalan Raya Pantai Kuta, Legian, p. +62 (0)361 3005 888. If you spend more than one week in Bali, you know good hair days can quickly be a thing of the past. 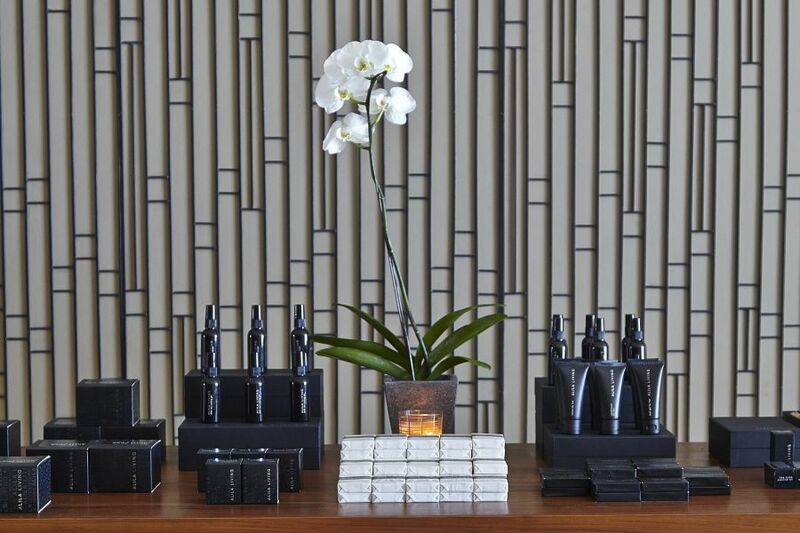 Spring Spa has the perfect rescue remedy for damaged, dry, lifeless [AKA: Bali-ified] hair. These treatments are Bali institutions. First, they cleanse your hair, and cover your locks with a hydrating Bali crème masque. Lounge back in a pod and enjoy a relaxing scalp massage, and unique hot stone shoulder massage. Continue the SOS session under the hair steamer, which revives tresses back to their crowning glory. While your soon-to-be-glowing hair is being repaired, you receive a coconut massage on the arms and legs before a wash and condition leaves you feeling silky and slightly more gorgeous once again. 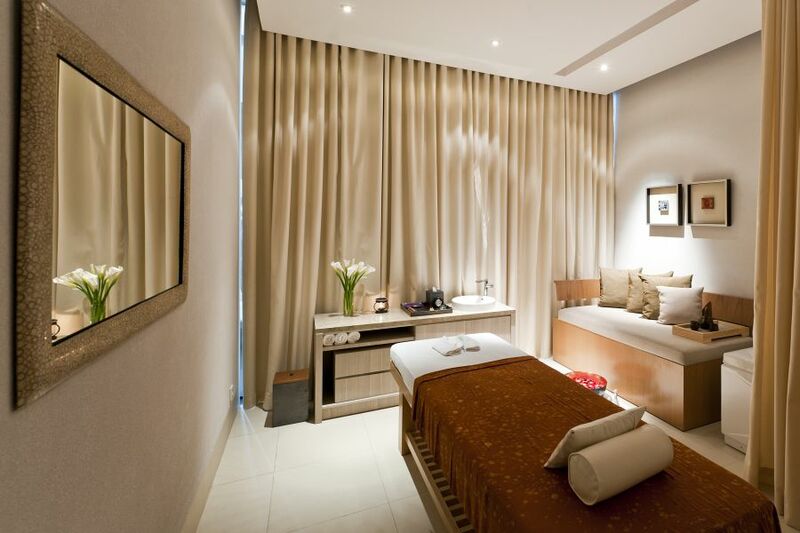 Spring Spa Seminyak, Seminyak Village, Seminyak, 60 Min IDR 400,000. Anyone who is anyone knows that Goldust is famous for their 24K Gold Facial, which is a good one for sure – anyone for that gold-foiled-face selfie? But it’s their Collagen Hyaluronic Facial that is the quiet achiever in our minds. A one and a half hour escape from the world, stress and reality – in a heavenly cocoon of relaxation, massage and pampering – you are massaged for every moment of your treatment when they’re not giving you facial attention. What’s involved? It’s a powerful antioxidant facial that combines a deep cleanse, steam, extractions, and a hydrating collagen hyaluronic mask with rose and seaweed extracts. tightening pores, improving skin elasticty, and refining overall texture, this customised anti-aging facial visibly plumps, firms and locks moisture in. Yes, it’s good. Take us Away! To the Away Spa please driver, if you’re not lucky enough to be staying at the fabulous W Hotel Bali that is. 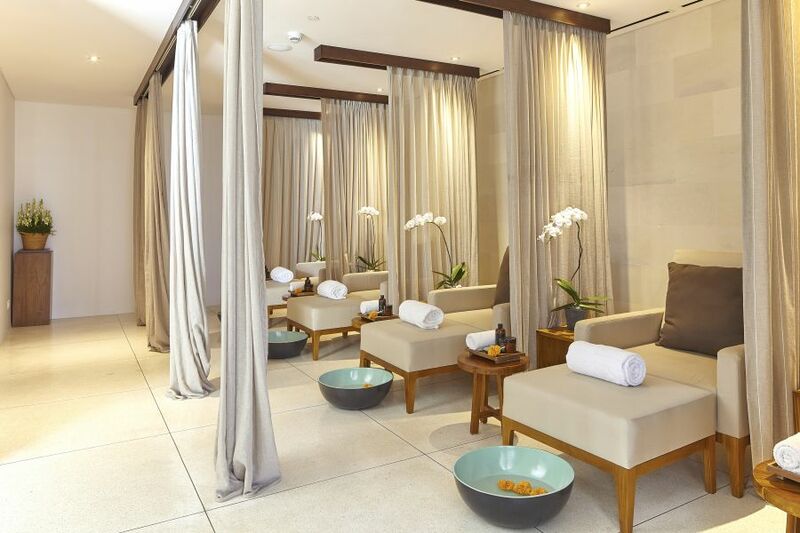 The W Bali Hotel’s Spa offers a fantastic combination of all treatments with a slightly sophisticated touch. From gorgeous to galmorous to just so-good-for-you, choose your fancy and make a half [if not longer] day of it – don’t forget their steam room, jacuzzi, detox focus and tranquil relaxation lounge. Away Spa, W Retreat Bali, Jalan Petitenget, Seminyak. 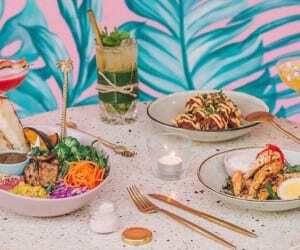 AMO is a little beauty for many of their treatments, not least their mani/pedi action and hangover detox packages but their Ultimate Face Time is a well-priced facial option smack bang in Seminyak. It combines the Microdermabrasion and Oxygen facial, a collagen eye mask, your choice of either the Enzyme peel or Collagen Fleece mask, and facial reflexology for skin and facial toning. Your skin will be cleaned, scrubbed and steamed and Collagen production is stimulated during this process revealing younger looking skin and a healthy glow. Enjoy an oxygen mask for total relaxation. And of course, they use diamond head microdermabrasion, state of the art Oxygen and Microdermabrasion machines so you’re in classy hands here. AMO, Jalan Petitenget, Seminyak, Ultimate Face Time, 90 mins, IDR 850,000. Top image credit: Como Shambhala. * All prices quoted are not including tax or service.